Once upon a time when I was getting back into video games (thanks to Persona 4 Golden), I was a big fan of Skyrim. I’m pretty sure it was my first open world game, so being able to travel across such a large map and find new quests, towns and things to do outside the main story was freeing compared to the linear worlds I was used to. This isn’t to say I dislike linear worlds; I actually like having a clear goal and a way to get to it. But playing Final Fantasy XV has reminded me that open world games can combine the main story linearity that I’m used to with a giant open world sprinkled with quests, monsters and dungeons to discover to. The world of Eos in Final Fantasy XV is a great example of this and an open new backdrop to a great new story. Usually Final Fantasy has a very direct path to a goal, with a world that aims to take you from A to B in a fairly direct fashion. Yes there are side quests, but in recent Final Fantasy games they generally don’t stray far from pushing you towards the main goal, at least until the main story is completed. Final Fantasy XV differs from this in that it gives the ability to stray pretty much immediately and best of all, run far and wide without much stopping you. Although I didn't mind recent Final Fantasy games such as Final Fantasy XIII, I really loved this freedom. Some Final Fantasy fans may remember being annoyed by how linear XIII was and then watching Square Enix try prove in Final Fantasy XIII-2 and Lightning Returns: Final Fantasy XIII that they’re not. Final Fantasy XV is open from the get-go and a world with the breadth of Eos is perfect to run around in while having the option to go back to the main story anytime. The world of Eos isn’t just big, there is plenty to discover. My old favourite thing to do in Skyrim was to find a city I hadn’t discovered and just run to it. 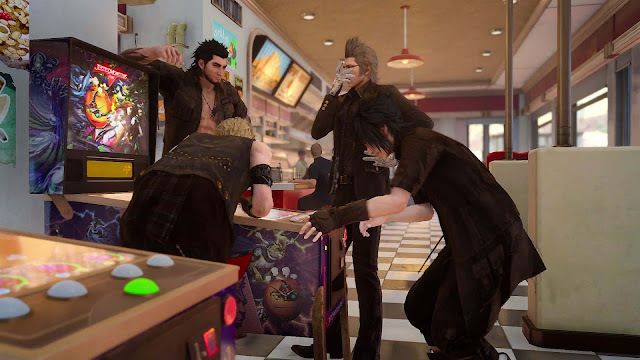 Being honest, I can’t do this perfectly in Final Fantasy XV thanks to some rock barriers and invisible walls that block my way but when I was trying to find a new area on the map, I discovered a bunch of element and resource farming areas, treasure and a secret dungeon with a quest inside, which is more than good enough for me. My Final Fantasy XV journey was mostly a story-driven one, but whenever I strayed from the map, I always discovered something and this discovery of random or pre-planned events made me curious to see what else I could find. I was always left with reasons to return to the area I was just in, hence why I've spent 30 hours post story completion going through the many quests and dungeons I had left to explore. I love the typical Final Fantasy experience, but having so many reasons on the map to come back to it when I'm done is really exciting. Making the world even more fun is what happens along the way. A lot can be said for the areas inspiring the characters to react, whether it’s Prompto wanting to take a picture or Noctis finding a new fishing spot. There’s also the excitement of a huge monster appearing out of nowhere, especially at night when huge enemies tend to show up. While some landscapes tend to look very similar, I like that I remember each area by what happened or what enemies showed up there, rather than purely by the area's purpose. 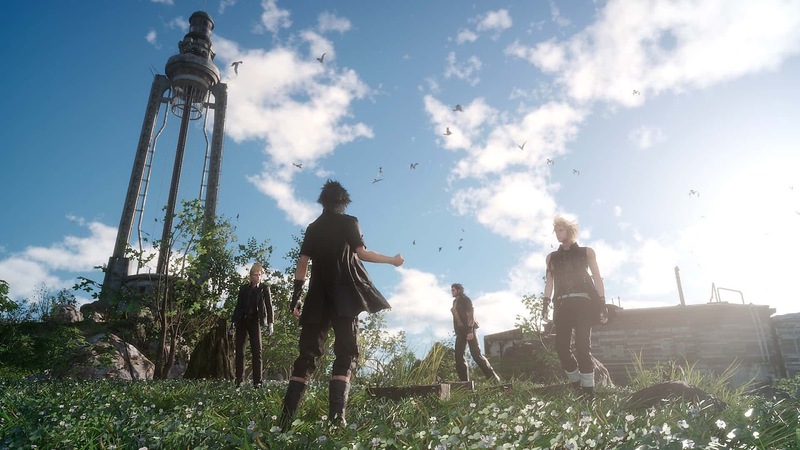 I completed Final Fantasy XV recently, but I’m still not bored with everything in the world. There’s still plenty to find and discover, with unexplored quests still littering my world map. I love the linearity of Final Fantasy games like World of Final Fantasy and their story-driven nature, but having a more open JRPG is exciting too considering the amount of things JRPGs like to give players to do. It’s this big open world that encouraged me to jump into a quest every time I was told I wouldn’t be able to come back to a town for a bit, just to see what might've been out there. I look forward to the next random dungeon, picture spot or Tonberry I unexpectedly stumble upon in Eos and being engaged by the characters and the vast world they're in. 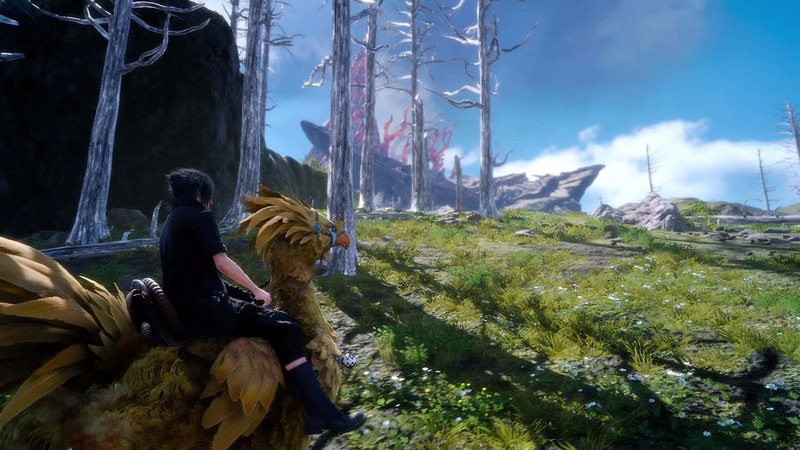 What do you think of Final Fantasy XV's world? Do you prefer open or more linear JRPGs?